A few years ago, at just this lovely, springtime season of the year, I had to go back East for a few months of work. When I returned to Ranting Hill, my family’s home in the remote foothills of Nevada’s western Great Basin Desert, I noticed plenty of changes. Great horned owls had taken up hunting perches on the peaks of our roof and had knocked back the local population of packrats. My native shrubs had survived, though they had been cropped by black-tailed jackrabbits. But the most obvious difference was that a thousand honeybees were buzzing around the eaves at the southwestern corner of the house. Honeybees are unusual here in the high desert. Although we do have some forage plants — including snowberry, rabbitbrush, balsamroot and a few wild mustards — we simply do not have enough year-round forage to make this severe desert environment very appealing to your average honeybee. I had not seen a thousand bees total in a decade up here on Ranting Hill, so it was clear that something was out of the ordinary. Big Dan was a mild giant who clearly had a deep feeling for the miracle that is the honeybee. He had the sensibility of a teacher, and he taught me a hundred things about bees while going calmly about his work. Wearing no bee-battling gear whatsoever, Dan first climbed my ladder right up into the cloud of bees, where he used a stethoscope to listen to various spots on the eaves and walls of the house. From this he diagnosed that the bees were not hived up in the eaves, where he could have done a “cut out” by sawing open the soffit and physically removing the nest. Instead, they were somewhere deep inside the interior walls of the house and thus would require a full-blown “trap out.” When I asked for an explanation, Big Dan agreed to trade one for a good beer. “A trap out takes eight weeks, sometimes more,” he began. I think he noticed my grimace. “Or, you can poison the bees, risk spreading disease to other hives, and leave 50,000 dead bees in your wall. The rotting smell won’t last more than a month, but the comb and honey left behind will attract ants, wax moths, and mice. 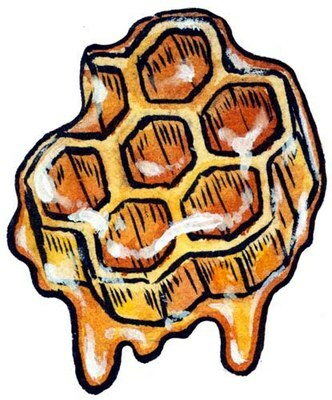 When July rolls around, you may notice honey seeping through your walls. Dan cracked a gentle grin and walked over to his little Honda. He lifted out a bright-white hive box, carried it back, and set it down next to my beer. The humming and buzzing emerging from that box was so loud that it seemed to be vibrating. Dan then strapped on a tool belt and ascended the ladder, climbing fifteen feet up into a cloud of bees. He stayed aloft for a half hour, caulking holes and patiently constructing and attaching the cone-shaped screen that would guide the bees out of the house and then prevent them from reentering it. He also screwed a large hook into the wooden eaves and attached to it a heavy-duty carabiner, then hung the white hive box from it. Next, he stapled the narrow end of the cone to the face of this dangling hive. Finally, he removed the block that had kept the bees bottled up in the Nuc box. When he came down the ladder for the last time, Dan was wearing a wide smile beneath which flowed his flame-red beard, now with at least half a dozen bees crawling through it. Eryn, the girls, and I soon came to love having the bees around, and we watched their patterns every day for weeks. We would observe the foragers emerge from the cone early in the day, return with their legs laden with pollen in the afternoon, and circle the funnel in an attempt to find a way back in. That failing, they would “beard” on the outside of the cone for an hour or two before giving up and joining the growing secondary colony in the suspended hive box. After some weeks, the traffic subsided, and we knew the brood in the wall colony was maturing and preparing to forage. Eventually, a torrent of exiting bees resumed, and for several more weeks we had the pleasure of observing their daily missions before bees once again ceased emerging from the cone. After a week of this inactivity, Big Dan came back up to Ranting Hill. We drank some stout before Dan removed the trap cone, and he watched with satisfaction as bees from the dangling hive re-entered the house in masses. After a few more weeks, the bee activity again ceased, and Dan reckoned that the house hive had been robbed clean of honey and that the new colony was established. 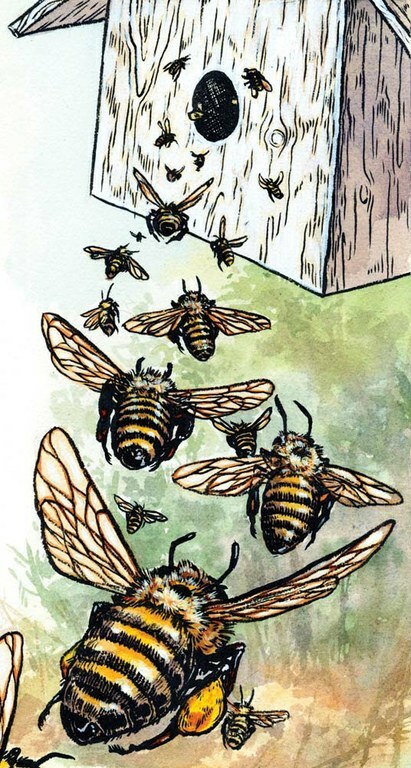 He came out to the house a third time to seal the bees’ sole entry hole to the house and block the entrance to the now very heavy hive box, which he loaded into the back of his Honda. 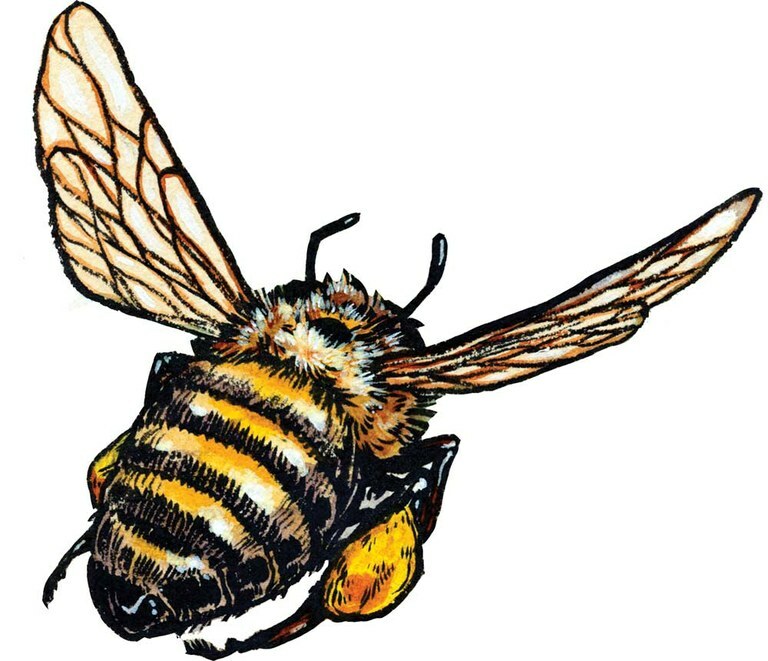 As he drove away, waving to the girls, I could see him smiling and appearing not to notice — or at least not to mind — the single honeybee that was still attached to his forehead. The trap out was a wonderful reminder that often the best solution to a confrontation with nature is to work with, rather than against, the problem. Bees in our house was the problem, but it turned out that bees in our house was also the elegant solution to it. Instead of a sagging wall full of pesticide-soaked, rotting bees and rancid honeycomb, I had clean walls and a story to tell. But it was even better than that, because I learned so much about bees and was able to give Hannah and Caroline the wonderful experience of living with their own “pet” colony — even if it was suspended 15 feet in the air. I also had the pleasure of meeting a fine high-desert character in Dan, Dan, the Big Bee Man, who later gifted us a jar of the sweet honey produced within the walls of our own home. Adapted from Rants from the Hill by Michael P. Branch © 2017 by Michael P. Branch. Reprinted by arrangement with Roost Books, an imprint of Shambhala Publications, Inc. Boulder, Colo.